What is Maundy Thursday? Is It Important? Maundy Thursday is the name given to the Thursday before Easter Sunday. It is typically a time of reflection on the life of Jesus and is usually accompanied by partaking of the Lord’s Supper. The word “maundy” is derived from the Latin word mandatum, which means command. It is called this because Jesus, during the last meal He would share with His disciples before He went to the cross, gave His disciples instructions they were to follow. Maundy Thursday had become an official part of the church by the 4th or 5th century. Maundy Thursday is known by different names in different parts of the world. It is also called “Holy Thursday” and “Covenant Thursday” as well as “Shere Thursday” and “Thursday of Mysteries”. Regardless of which name it goes by, it is celebrated in order to commemorate the Last Supper of Jesus Christ. Is Maundy Thursday still an important day to observe? His life without thinking deeply about them. Let us look closely at the events that are commemorated in what is known as “Maundy Thursday”. 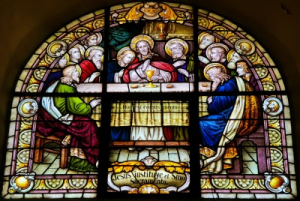 What we now call the “Lord’s Supper” is also known as the “Last Supper”, named after the last meal that Jesus had with His followers before He was crucified. While I do not recall celebrating Maundy Thursday, I remember the Lord’s Supper as an important reminder of Jesus’ sacrifice for us. We find the record of the Last Supper in three of the four Gospels and First Corinthians. Jesus’ last meal with His disciples before His crucifixion took place around the time of the Passover. The Passover was a Jewish holiday that commemorated the time God delivered Israel from the angel of death when Israel was in Egypt. This event (the Passover) would be on the disciple’s minds as they dined with Jesus and would be extra meaningful (looking back) in light of the sacrifice He was about to make. His death on the cross that provided deliverance for His people. “And when the hour came, he reclined at table, and the apostles with him. And he said to them, “I have earnestly desired to eat this Passover with you before I suffer. For I tell you I will not eat it until it is fulfilled in the kingdom of God” (Luke 22:14-16 ESV). Jesus gathered with His closest followers (and Judas) to share what He knew was to be their last meal together before His crucifixion. Even though he told them that He was about to suffer and that His blood would be poured out for their forgiveness, they apparently did not yet grasp the full meaning of His words. “Now as they were eating, Jesus took bread, and after blessing it broke it and gave it to the disciples, and said, ‘Take, eat; this is my body’”. The disciples did not understand the significance of Jesus’ actions at this time. They still were hoping He would be instrumental in overthrowing the oppressive Roman rule under which they existed. However, He was speaking of the death of His body and the fact that those who join Him, by dying to self, will have true life. “And he took a cup, and when he had given thanks he gave it to them, and they all drank of it. And he said to them, ‘This is my blood of the covenant, which is poured out for many for the forgiveness of sins.’”. How difficult it must have been for the human part of Jesus to be sharing this last meal with His disciples, knowing what His immediate future held. He knew that He would shortly be facing daunting humiliation, painful torture, and the most lingering vile death known to man at that time. The Bible tells us of His struggle in the Garden of Gethsemane later that night. Still, Jesus knew why He had to do what He was about to do. God’s love for humanity was the impetus for Christ going to the cross. No other payment for man’s sin would suffice; and God’s love for us provided that payment. The apostle Paul tells us why we should continue celebrating the Lord’s Supper, “For as often as you eat this bread and drink the cup, you proclaim the Lord’s death until he comes” (1 Corinthians 11:26 ESV). As we partake of the Lord’s Supper, we are called to recall Jesus’ sacrifice on the cross for our sins. This is the heart of the Gospel message. If we are not faithful to spread this message of hope and forgiveness, there remains no hope for the salvation of humanity. 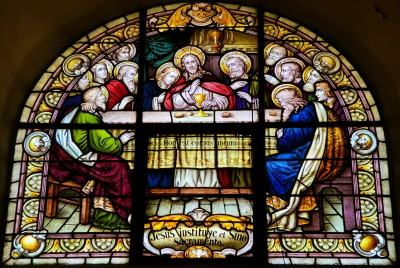 Therefore, whether one calls it Maundy Thursday, the Lord’s Supper, or Communion, it is critically important for the life of the church and the eternal destiny of humanity, that we continue to take part in this memorial observance. Thank you sir for this fine educational look at a day that I had little knowledge of. Wow. I had no idea. I see the importance now that it is commanded and that it is tied into the resurrection Sunday. I always gain in understanding from you, a man of great biblical knowledge and wisdom Robert. Yes. Very helpful indeed. Thankyou. And, thankyou for not equating the Last Supper with the Passover meal which IMHO it was not. Jesus Himself was to be the passover sacrificial lamb of which the original passover meal just prior to the exodus was surely a type. The blood of the lamb caused God to pass over the houses of the Children if Israel who had put the blood on their doorposts just as it is the blood of Jesus the Lamb of God which causes God to restore us to Himself rather than for us to suffer eternal death. I agree with you completely, and praise God daily for His plan of salvation. God bless you brother. Previous post: Why The Bible Is Called The Bible? Is It Really Holy?